I would highly recommend Eric and his crew, they were great, and I had a very good experience with them. They were prompt, responsive, had fair pricing, and they provided high quality work. 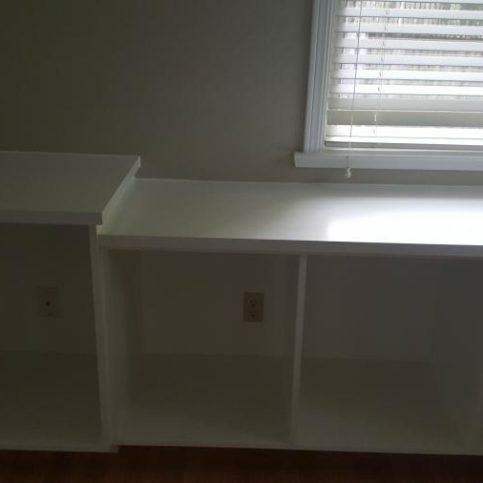 They were very neat, kept the jobsite very neat, and they were trustworthy. I've used them twice and we've been able to work really well together. They answer all of my questions. I would tell a friend that Eric is really friendly. He's pretty thorough. He did some painting for me, on an older house with cracks that needed some repairs, and he was really helpful with that. He's also really flexible, in terms of his time and scheduling. He quoted the work he was going to do, and he did it for that price. 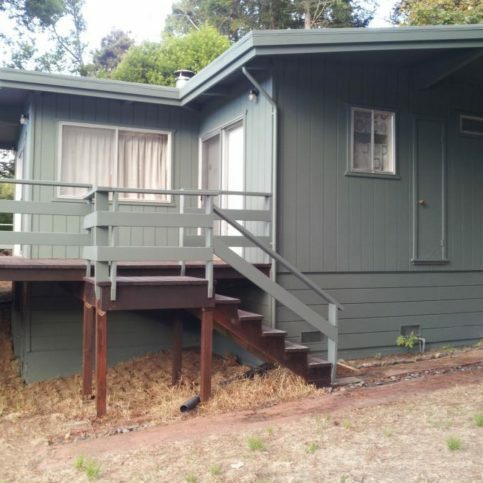 E .G.I Custom Painting provides a complete range of interior and exterior painting services for residential and commercial clients in Marin and Sonoma Counties. 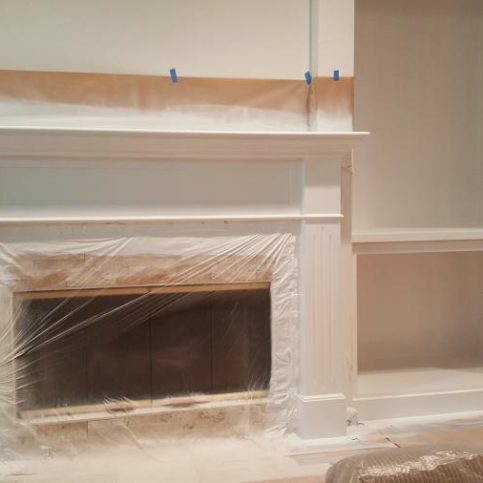 In addition to preparing and painting all types of surfaces, the company has the training and experience to perform color consultations, repair drywall and dry rot, and more. 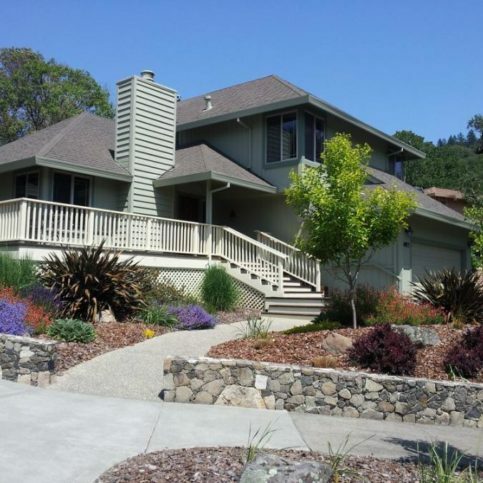 E.G.I Custom Painting has been providing interior and exterior painting services for residential and commercial clients in Marin and Sonoma Counties since 2004. 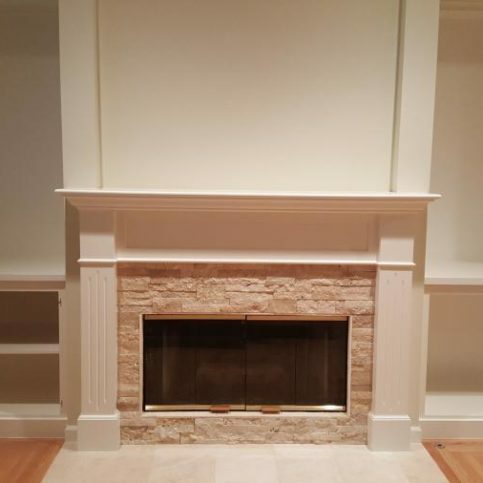 The company has the training and equipment to prepare and paint all types of surfaces, and it’s also qualified to perform color consultations, repair drywall and dry rot, and more. 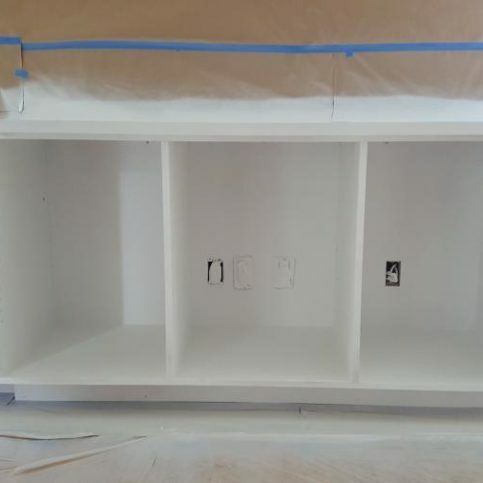 If you want to give your cabinets a fresh look, consider applying a high-quality paint product. A: Typically, I’ll be able to start your project within two weeks of your initial call. Q: Can I see examples of your past work? A: Of course. In addition to giving you contact info for a couple of recent clients, I’ll write down some addresses of homes I’ve painted so you can drive by and see them. 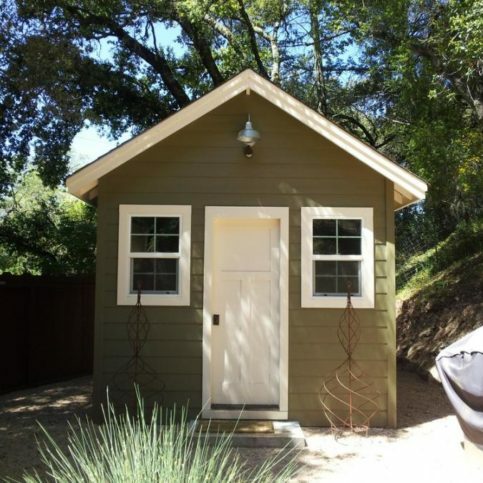 Q: Can you recommend a good paint for my project? A: Certainly. The two main brands I use are Kelly-Moore and Benjamin Moore, so I usually recommend one of those depending on the application. Q: Can you help me choose colors? A: Yes, I have a lot of experience with color consultation and I’d be happy to assist you with that. A: Yes, cleanliness is a big deal for me. I cover everything in the areas where I’m painting and always clean up at the end of each day. Eric Isenberg is a 28-year veteran of the painting industry and owner of E.G.I Custom Painting, a Diamond Certified company. He can be reached at (415) 429-4994 or by email. ROHNERT PARK — It’s often said that what happens in Vegas stays in Vegas, but Eric Isenberg has no problem relaying the story of how his stint in the desert metropolis led to a painting career. “After high school, a friend of mine moved to Las Vegas and got a job at a car wash,” he remembers. “He told me the money was really good, so I moved out there and joined him.” When things slowed down at the car wash, Eric found work with a high-end home builder who later introduced him to the painting trade. 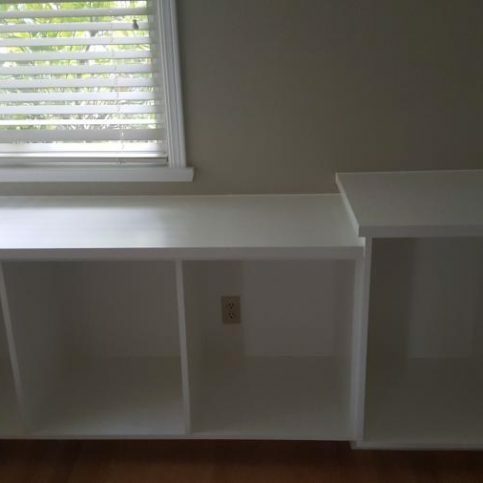 “I started on the cleanup crew and moved up to doing drywall and painting. I caught on pretty quickly…it just came easy for me.” Later, Eric joined the union, which gave him a chance to further hone his skills as a painter. 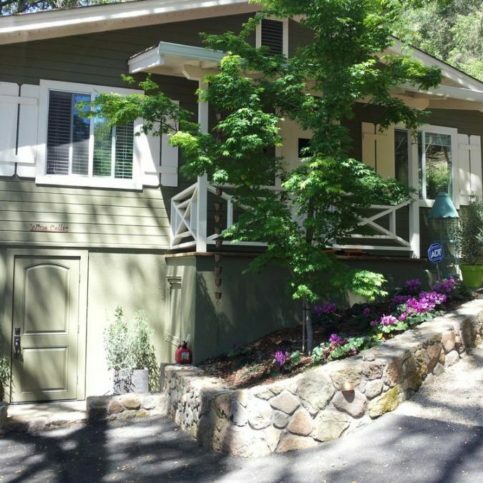 Eventually, he returned to his home of Sonoma County and started his own painting company. A: Australia. I’ve had a few friends from there, and they’re just the warmest people. Plus, it seems like a very diverse place—one side is desert, the other side is green. From what I hear, you can do anything from cliff diving and snorkeling to spelunking. A: A Star Wars character. Almost every year during my childhood, I was Darth Vader, C-3PO or some other character from those movies. 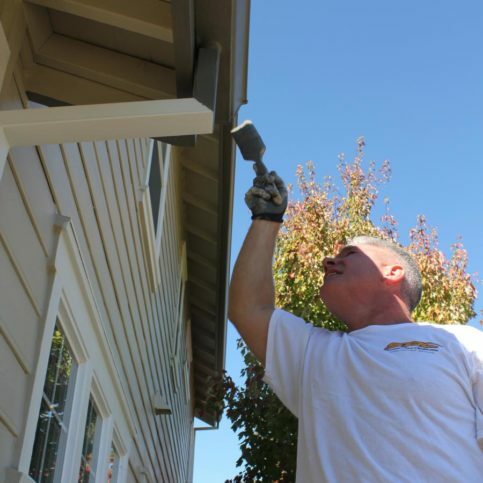 ROHNERT PARK — An often-overlooked aspect of home maintenance is cleaning the exterior, which not only removes dirt buildup but contributes to paint color retention and longevity as well. 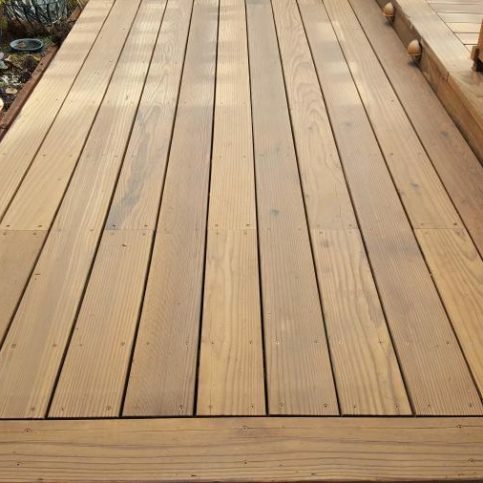 The best way to keep your home’s exterior clean is with regular power washing. While most of the dirt and debris that accumulates on a home’s exterior is harmless, if it’s not routinely cleaned off, it can lead to mold and other types of buildup. Over time, this buildup can harm your paint job and make repainting more expensive. 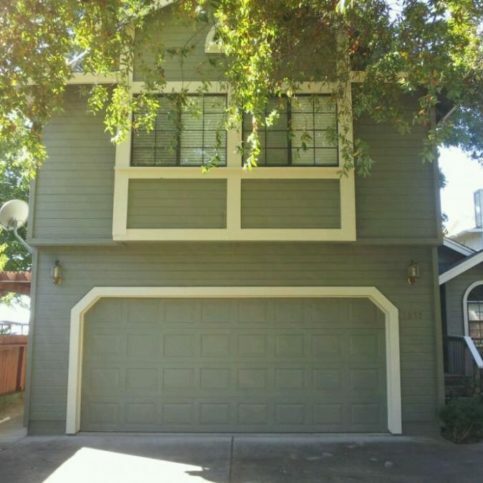 For example, a home exterior with excessive buildup may require a lot more prep work before repainting, which adds to the cost of the job. 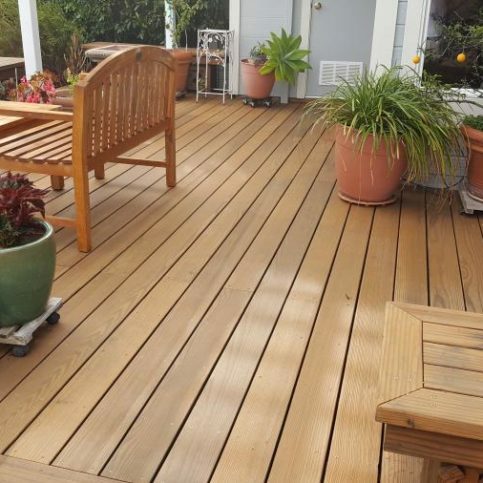 In contrast, having your home power washed every couple of years will remove debris buildup, resulting in greater longevity and performance of the paint, as well as less money spent on repainting. 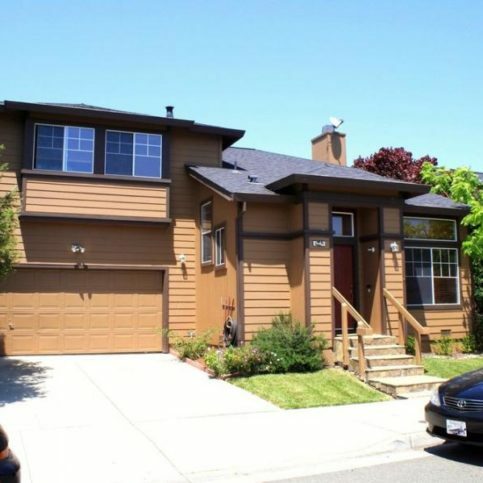 ROHNERT PARK — Host, Sarah Rutan: If you want to keep your home’s paint job looking better for longer, consider investing in professional power washing. Today we’re in Rohnert Park with Diamond Certified Expert Contributor Eric Isenberg of E.G.I Custom Painting to learn more. Diamond Certified Expert Contributor, Eric Isenberg: The most important aspect of painting is keeping your house clean. Power-washing is really important for the quality of the paint, the longevity of the paint, and the outstanding color retention. 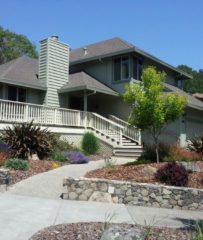 When the house is power-washed, it keeps it clean and free of debris, and the maintenance comes down in the beginning and the end. E.G.I Custom Painting : Average 9.7 out of 10 based on 15 unique customer surveys of customer satisfaction. They were easy to work with, responsive, and answered my questions. They did good work. I felt like they took their work seriously and did it well. He goes above and beyond. He did good painting for us. He came back, and he did some extra work that we wanted. He even went to the paint store with us to help us pick something out. They were flexible when I needed it and available quickly. I liked talking with Eric. He was able to answer my questions. I thought I knew exactly what I wanted, and he was willing to go with it even though he gave me different advice, so I got what I wanted in a better way. He's worth every penny because he makes your job easy. He was honest and helpful. He painted on the color I picked, and I wanted to cry, because it was so bad, so he went with me down to the paint shop to help me pick out a color that I liked that would look good as well. Every time I texted him with a concern, he texted right back, and if it was too long of a text, he'd call just in case. I had other people who were horrible working at the same time. He bent over backwards to accommodate them. They were fantastic. They were more than perfect. I liked everything, from the rapport, to the professionalism, just everything. I'm a senior, and I was overwhelmed by what I needed to do. They went above and beyond for me. They were awesome. He has an amazing attention to detail. I feel confident he knows what he's doing. His work is always good. I didn't have a problem with them. I'd tell others to go for it. They were very professional, did a good job, everybody was friendly, and they were just great. He was very personable, they were clean, and they cleaned up well after themselves. They were very attentive to the job and they did a good job. They did what they said they were going to do. The paint was good, and they were very thorough. They did a job well done. I'd definitely recommend them. I would say they're reasonably priced and they do quality work. They did a pretty good job for a reasonable price. He did what he said he was going to do.